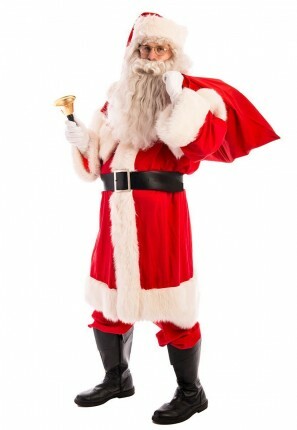 This Father Christmas Santa costume is perfect for your Xmas function! ‘Ho Ho Ho’ in this Jolly Saint Nicholas costume with a traditional look. You will make everyone’s Christmas by handing out presents at your family or corporate Christmas party. This cotton Santa is a cooler option for surviving the hot Australian Christmas! Santa Costume comes with everything you could need!